This quaint little home is a place for this family to gather with family and friends and escape the daily grind. Right on the lake, a bridge over a channel of water separates this home from the mainland. Its exterior is clad in shingles and board and batten, which epitomize the lake home look. Top it off with a huge deck that features both open and covered spaces, serving the homeowners mood depending on the day and weather. 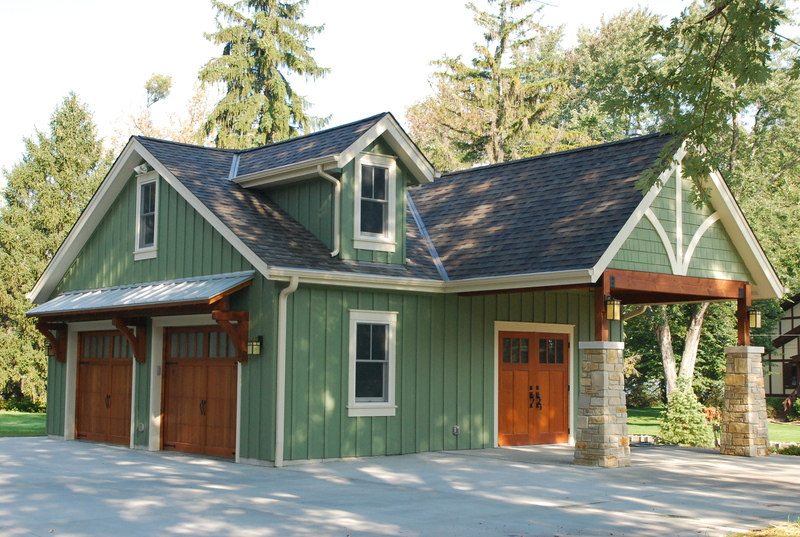 The owner also wanted a detached garage that matched the look of the main house which features a second story bunk room for the grandchildren.